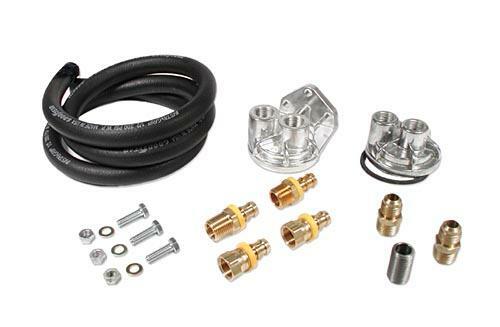 Mr Gasket Remote Oil Filter Kit relocates the oil filter for quick, clean & easy access and increased filtering. It is complete with precision die cast aluminum by-pass, filter brackets and all high pressure connectors. For performance, reliability and easy of use go with a Mr Gasket Remote Oil Filter Kit.